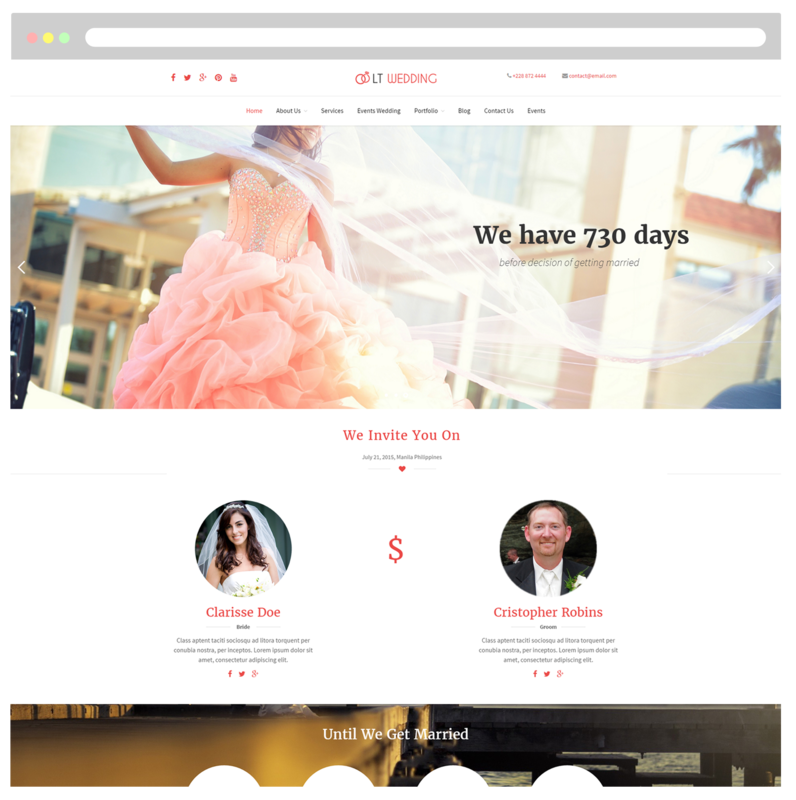 Designed with the best experienced developers with good knowledge wedding, One Page Wedding Planner WordPress theme is promised to create a stunning appearance for your website with various layouts! LT Wedding Onepage is free single page version of LT Wedding WordPress Theme (multi-page). This is a modern, elegant and creative theme for showcase interesting wedding and engagement plans. The theme comes with a gorgeous design that is great to showcase for couples who want to create their own wedding website. 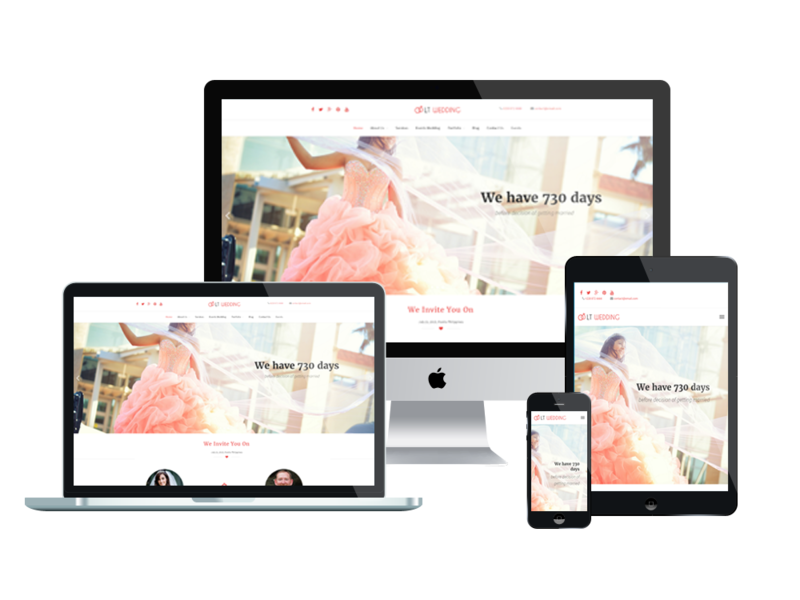 LT Wedding is 100% responsive that is compatible with any possible screen of mobile devices, and content will be displayed in an eye-catching way. 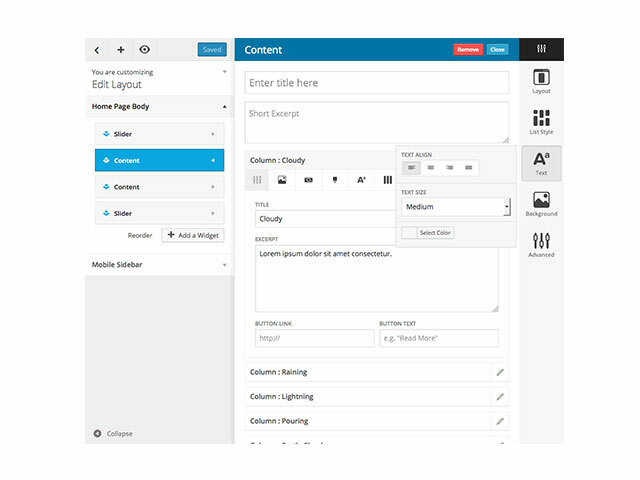 The template framework comes with many features such as strong shortcodes for present content easily, drag-drop layout content, Bootstrap CSS & Hybrid framework. Especially, with the help of its unlimited color and a color picker in the admin panel, it is absolutely possible for you to create a stunning appearance for your website. Let’s go and download it now!